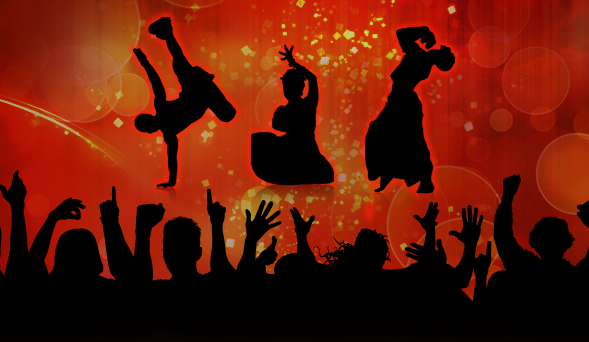 Dance India Dance Season 3, the most favorite show of dance lovers. The auditions covered almost 20 popular cities around the world. In a hope to get the title of Born to Dance thousands of contestants participated in the auditions. The contestants presented their hard preparation, determination & craziness towards dance. Out of thousands only 100 participants could get the “Takdir Ke Topi”. All selected dancers were called to Mumbai for Mega Audition. Mega Auditions finally selected it’s top 18 dancers. Paul Cardoz, Rajasmita, Sanam Johar, Lipsa Acharya, Shafir, Riddhika and Urvashi Gandhi were selected in Geeta Ki Gang. Hardik Rawal, Hardik, Manju Sharma, Mohena Singh and Vaibhav Ghuge were selected in Remo Ke Rangeeley. Pardeep Gurung, Chotu Lohar, Sneha Gupta, Sneha Kapoor, Piyali and Varun Garg were selected in Terence Ki Toli. OMG - Kapil Sharma Auditioned for a Singing Reality Show! 5 Benefits that Make Dancing a Great Hobby! Guess Which Actress Just Learnt Pole Dancing? Now You Can Learn Dancing From Madhuri! Dancer Uncle that India is Obsessed With! Tiger is Awesome in This Video!